Designed by Jorge Pensi Design Studio for Pedrali, Italy. 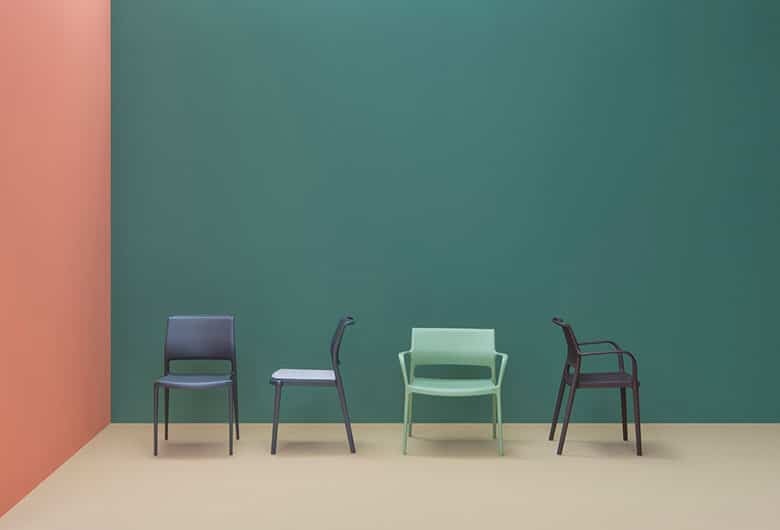 Ara is a polypropylene moulded chair rein­forced with glass fibres, stackable and suita­ble for both indoors and outdoors. The upper part of back structure forms a big handle for easy lifting and moving, giving it a dis­tinct character. Thanks to the tapered shape of the legs it’s light and elegant, although resistant and non-deformable.